Dr. Pragya Garg has obtained MBBS from LLRM Medical College, Meerut from Choudhary Charan Singh University. She later obtained Diploma in Clinical pathology from Kasturba Medical College, Manipal under MAHE University. She started her professional journey as a Senior Resident at Fortis hospital, Noida. Thereafter, she worked in various capacites at Geetanjali Medical College and Sarvodaya Hospital, Faridabad. Dr. Pragya has keen interest in academic activities. She has several publications in national and international journals. 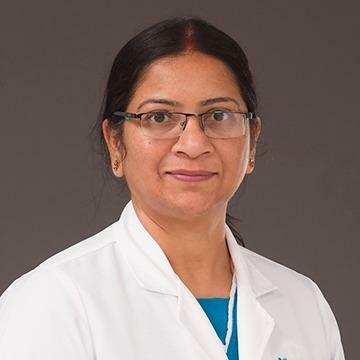 Dr. Pragya is fluent in Hindi and English.